The brains behind the Gold Coast’s acclaimed Asian-fusion eatery Rick Shores are looking to go two-for-two with their new neo-Chinese venture in the heart of Brisbane’s entertainment precinct. Little Valley kicked open its doors last week, inviting diners to savour its melting-pot of flavours inspired by China’s rich culinary heritage. The philosophy here is simple – traditional dishes are positioned in a new context and are imbued with twists to create something different and interesting. 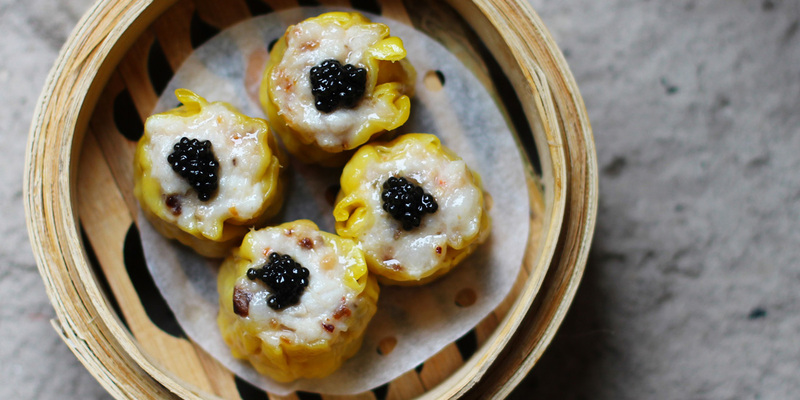 It doesn’t matter if you mix up your char siu and siu mai, all you need to know is this isn’t your run-of-the-mill dim sum joint. When it came to Little Valley’s origins, two factors were key. Co-owners David Flynn, Frank Li, Andrew Hohns and Nick Woodward have always discussed the potential of Chinese cuisine as the core focus of a restaurant, but opportunities to implement it at their coastal venue Rick Shores were limited. Second, any expansion would have to be opportunity based, and it was only until a suitable space was discovered on Warner Street in Fortitude Valley that the concept started to gain momentum. Drawing upon their joint passion for Chinese cuisine (a trait shared with Rick Shores-turned-Little Valley head chef Jake Pregnell), the team began the task of bringing a modern, multi-regional neo-Chinese concept to Brisbane, starting with research trips to China to find reference points on which to base their style of fare. The work has resulted in a fresh take on modern Chinese, where familiar tastes and influences are given playful and diverse spin, marrying flavours that work in isolation and as part of a greater whole. Little Valley’s Warner Street location is situated inside a building that has notched more than a century of existence. The structure’s strong bones offered an opportunity to create a space that brought together old and new with a modern and inviting aesthetic overhaul. One of the core needs that was first addressed was space to cater for an informal dinner crowd – an issue that the team encountered at Rick Shores. At Little Valley, the space is divided into two main areas – the formal street-facing dining area that caters to 80 seated patrons and the casual upstairs bar and open-air píjiŭ (beer garden) at the venue’s rear. Supplementing these areas are the restaurant’s private dining and function area, and the adjoining laneway, which will boast a to-be-revealed lighting installation. Little Valley’s light and airy design was conceptualised by the team and helped made real by Lambert & Smith architect Toni Ward. The building’s old surfaces were exposed and existing tall windows were incorporated into the minimalist design, which utilises a palette of white, black and gold to provide a fresh and classic feel. 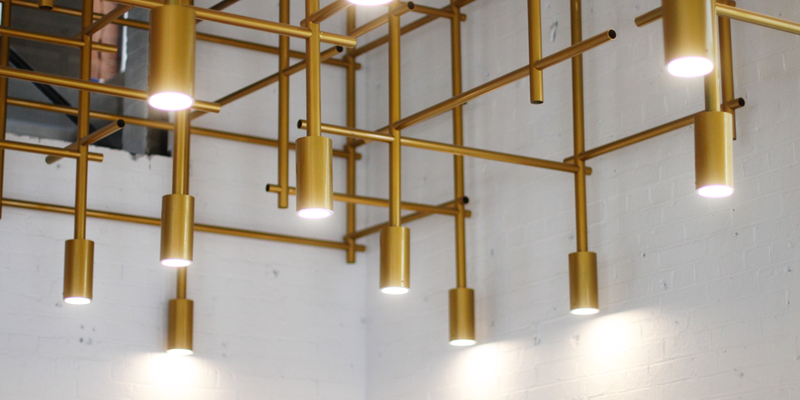 A hero of the space is the impressive light fixtures installed by Precision Engineering, which further add a sense of modernity to the venue’s stylish presence. Head chef Jake Pregnell has assembled a menu that casts an eye across China’s vibrant regional cuisines, imbuing the Little Valley offering with a bit of everything. The menu is divided into sections, starting with dim sum and bar snacks such as chicken and egg wantons, prawn and pork siu mai with caviar, and lobster and chive har gow that are available across the bar and dining room areas. A raw bar selection of cured scallop with spiced pumpkin seed and chopped wagyu beef is also available in both areas, followed by salads, meats, wok dishes, sides and desserts that are exclusive to the main dining area. These dishes are scaleable depending on groups and are designed for sharing. The likes of miso-poached chicken with black fungus, twice-cooked duck with fermented plum, smoked pork and truffle congee, Kung Pao mushrooms with macadamia nuts and red bean ice-cream with pumpkin curd exemplify the inspired and modern approach undertaken by the kitchen team. The bar stocks an impressive bevy of wines, with 110 bottles on hand. Little Valley’s wine list encompasses an Australian-heavy selection of natural, floral and textural drops, anchored by complementary varietals such as riesling and pinot noir available by the glass. A cocktail selection takes inspiration from the food, with a Chinese influence sprinkled across concoctions such as the Beijing Sling, Silk Palace, Dynasty Moon and Imperial Haze. 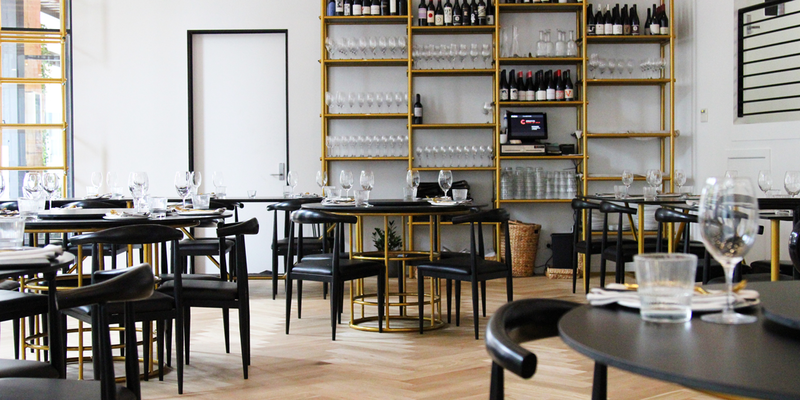 Little Valley is now open for dinner, with a lunch service commencing on Friday July 6. Check out the Stumble Guide for booking details and operating hours.